My hands were shaking. It was something I didn’t even realize until I had taken a break from playing Resident Evil 2 to go get some lunch - a constant trembling of my hands, as my body tried to calm itself down. A game hasn’t fried my nerves like this in a long time and in this unique way. 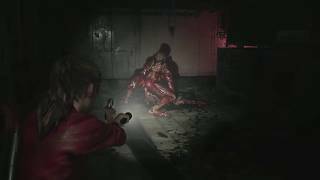 The remake of Resident Evil 2 is an interesting commentary on the state of the survival horror genre. Unlike 2017’s Resident Evil 7, this game doesn’t embrace the major trends of the genre. It doesn’t employ a first-person view, it doesn’t stuff itself with jump scares or scripted chase sequences. Resident Evil 2 is very much in keeping with the spirit of the original trilogy, the games with tank-like controls and fixed camera angles, building suspense and horror through the tension of gameplay and the use of resources. The game makes you stress about every wasted bullet, every herb, every unsearched room. It is a slow, grinding anxiety that festers in the back of your mind, gnawing away at your confidence. Do you go back to search that room you skipped and try to weave your way through zombies without risking a bullet? Do you waste the ammo and kill everything, hoping a more thorough search reveals some healing? Maybe you skip it altogether for now - unless there’s a key in there and you need it. This is the constant fretting that tortures players as they work their way through Resident Evil 2, a feeling that hasn’t been so well-crafted since Dead Space 2. 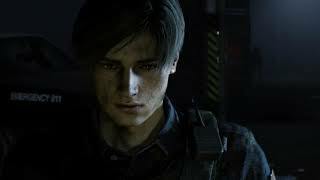 Ever since the remake of Resident Evil 2 was announced at Sony’s Press Conference at last year’s E3, I’ve wondered about how much it would stick to the original game and how much it would differ. I’m happy to report that Resident Evil 2 pulls off the difficult balancing act of being a faithful remake of the 1998 title, while also standing confidently on its own. There are some differences in the story with a few more narrative beats tacked on, some monsters are used in different ways - but the weapons are still the same, the locations are all familiar, and the broad strokes of the original tale are intact. Said story is that of Claire Redfield and Leon Kennedy. Leon is a rookie cop, reporting to the metropolis of Racoon City for his first assignment; meanwhile, Claire has come to town looking for her brother Chris. The two meet in a gas station and discover that the entirety of Racoon City has been infested with zombies. Thrown together by chance, they drive to the Racoon City Police Department and are quickly separated. The story diverges here with Leon investigating what happened to Racoon City while befriending the femme fatale, Ada Wong, and Claire playing surrogate mother to a little girl named Sherry who has a familial connection to the zombie infestation. The two stories are a little more symbiotic than in the original game. There’s less shared content between the two and you’ll really want to play through the whole thing twice to get the full picture of what happened and who the major players are. The dialogue has largely been rewritten, so it has a lot less camp than the original, but it is still chalked full of one-liners that the hero/heroine mutter after big monster battles. It’s still playing into the horror movie tropes baked into the DNA of the series, but is also able to be a little more emotionally dynamic - the action is a little more intense, the relationships are a little more resonant, the horror is a little more tangible. Much like the original game, Resident Evil 2 is all about resource management. The first time through, you’ll probably want to kill as many zombies and monsters as you can, popping bullet after bullet into the brains of the undead. But quickly you’ll realize that killing everything isn’t an option, so you’ll have to be careful about when and what you’re shooting. The other part of Resident Evil 2’s gameplay is its reliance on keys and puzzles. It’s all well and good to say you’re not going to kill too many zombies, but each room must be thoroughly explored, items need to be tracked, and keys need to be found. Sometimes you’ll have to backtrack to see if you missed something, other times you’ll realize your inventory is full and you can’t take the key you need – so you’ll need to return after visiting a safe room, where you can store your equipment and save your progress. As you’re snaking your way through the labyrinth of monsters Capcom has created, constantly debating whether you’ve got enough ammo or health to keep going, you’ll be forced to learn the layout of the level and carefully plan the route ahead. The game plays clumsily, but that is largely intentional. The original Resident Evil games were infamous for their clunky controls, designed to make moments of running or combat that much more intense. Part of the problem with stopping to kill zombies is trying to peg them in the head with the slow and cumbersome aiming, making sure you don’t waste bullets. The running isn’t much better, as the game is filled with small rooms and tight corridors that are hard to maneuver around. Your saving grace is that if you’re grabbed by a zombie you have a number of weapons you can use to defend yourself, like a knife or grenade that will get you away unscathed. It’ll probably take until the end of your first playthrough to get good at one-shotting a zombie or weaving through a group of monsters. Then, once you’ve beaten the game, your second playthrough becomes all the more difficult. A lot of the puzzles/keys/secrets are the same, so this time Capcom makes ammo more scarce, forcing you to rely on your memory of where things are and what you’ll have to fight to get there. Your knowledge of the levels becomes crucial as you have much less room for error. The environments are so economically designed, it’s quite impressive. The tight corridors and limited numbers of rooms make the game feel claustrophobic, but it also helps you learn the layout of the level and build a better mental map of where you are and where you need to go. That becomes really important when the game shows off its invincible Tyrant, T-00 (also called Mr. X). This Tyrant can’t be killed and chases you around the level, so even if you have your route mapped out perfectly, you could run into him at any time and need to change course. He shows up earlier and stays longer in the second playthrough and anytime he’s around, things become all that more stressful. There are certain rooms (like save rooms) he won’t enter, so sometimes you’re forced to run back to those rooms and listen for his footsteps to pass by. As before, Resident Evil 2 is all about multiple run-throughs with different characters, trying to limit your deaths and saves, and seeing what grade you get at the end. There are challenges updated weekly and a brief minigame called “The 4th Survivor”, but it’s just window dressing and I don’t imagine it’ll see a lot of use compared to the meat of the game. The game looks good - though this is easily the smallest deviation from the original. There’s been a slavish devotion to recreating rooms, themes, and motifs from the original game and while it definitely helps keep the remake in line with its roots, it also holds the game back from finding originality. The backgrounds have of course been changed so you can now look at the details of a room yourself instead of getting a text blurb about what is on the desk or hanging on a wall, but there’s very little breaking from the mold. If anything, the modern graphics prevent the game from indulging in some of the gothic horrors that were in the original game. The museum-turned-police-station was used to create some strange, haunting visuals in the 1998 game, but the same location feels more functional and normal in the remake. The attention to detail is worth calling out. Capcom has certainly pumped a lot of money into making Resident Evil 2 look stunning and the gross-out gore has never been more revolting. The extra eyes, oozing viscera, and gallons of blood have been lovingly smeared all over the game in keeping with the series’ tradition. The motion capture and voice work are also exceptional. Resident Evil 2’s small cast has always allowed for the game to keep an intimate feeling despite sprawling across multiple locations with giant monsters - and that intimacy is well conveyed in the motion capture work, allowing actors to have strong chemistry. The game is also technically impressive. I had no bugs, crashes, or framerate issues during my time with Resident Evil 2. A couple times, a dead body would be struck with a weird ragdoll glitch that would cause it to flop around on the floor, which really just scared me more than ruin the illusion - making me wonder if the glitching monster was really dead. The loading screens when you die are a little on the long side, but I’m nitpicking. For the most part, the game runs very smooth on the base PlayStation 4, and this is important because any issue would have ruined the atmosphere Capcom has worked so hard to create. I’ll admit, I was skeptical when I saw the Resident Evil 2 remake announcement. This is a game that I have a lot of reverence for and a remake worthy of the original is no small task. Leaning too hard one way and you’ve just got an HD graphics upgrade, too far the other way and why even bother to call it Resident Evil 2? Instead, it’s right down the middle and every now and then I would just stop and gawk how the game dredged up the old feelings of terror I had nearly twenty years ago. I was taken aback to how I pushed an injured Claire/Leon along because I had to ration my first aid sprays, how I memorized the levels, and nervously crept through every corridor, always ready to run or shoot. I remembered those feelings because I was having to it all over again. This game made miss Resident Evil in a profound way. 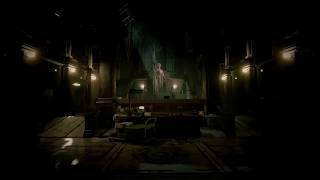 It made me angry that it’s been so long since we’ve experienced a horror game like this. I know if I went around shoving free copies of the 1998 Resident Evil 2 into people’s hands, they likely wouldn’t play it. The controls are weird and it would feel almost alien to players these days. So I’m glad that this remake has kept so much of the magic alive. The game is clearly standing on the shoulders of a classic, but it does so confidently, striving to make something that’s even better. This is probably where the remake leans on the original the most. It’s an impressive modern version of Racoon City and its undead hordes, but there’s nothing which truly stands apart from the original. The sluggish gameplay makes the running and shooting all the more intense. And just when you think you’re getting the hang of things, the second playthrough ups the stakes. The characters and story are solid, but that’s all borrowed from the original game. What’s impressive is how the new dialogue and cutscenes can stay true to the original, but still enhance the depth of what was already there. A couple of weird ragdoll animations and longer loading times, but for the most part the game plays great, with no issues. Resident Evil 2 is certainly propped up by being a remake of an already excellent game, but it doesn’t simply lean on that legacy. There’s so much great work being done to revitalize the experience for a modern audience, and those efforts deserve to be experienced. Nostalgic fans already got their preorders, but for newcomers - you need to summon your courage, turn off all the lights, and let this game fill you with dread - because it’s worth it.